At the beginning of December Local in Season tweeted about Pestos with Panache holding a recipe contest and I was intrigued. I quickly investigated and emailed /tweeted Lauren, the owner of the company, saying I would love to participate. She replied quickly and offered to send me a pesto of my choice for my recipe. I was delighted. Many of my blogger friends have been using the Pestos with Panache in their cooking recently and I had been dying to try it. Lauren shipped it out and I waited patiently for my Pesto to arrive. I chose the blueberry pesto, something I have a bit of an obsession with given my upbringing in blueberry fields, and while Lauren checked in with me everyday to see if I’d gotten my pesto, I started to get excited. What was I going to make with this pesto, something savory or sweet? Something classic, like a pesto cream sauce, or something brash and outlandish? I chose outlandish. Maybe it was the blueberry balsamic vinegar sitting in my pantry calling out for usage, maybe it was me falling in love with these litte vegan (without the pesto) gems in October, maybe it was that first whiff of pesto as I unpacked it moments before I left to host the Boston Blogger Cookie Swap and I thought of chocolate and blueberry layered and married together, but I like to think it was all of these things at the same time. Blueberry is one of those flavors that makes me five again, running through a hot field to my mom and being reprimanded for wrecking the berries. I love the memories that I get from the blueberry flavor and the spiciness makes these worthy of mention. 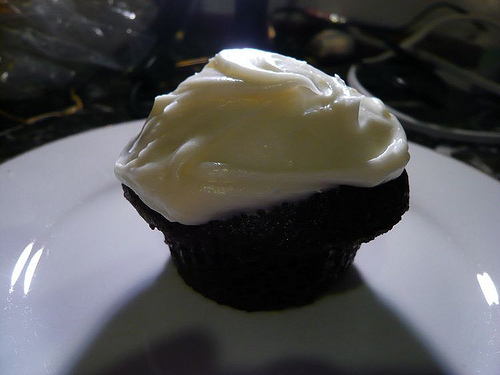 So here it is – my spin on an accidentally found (and promptly inhaled with non-vegan frosting) vegan chocolate cupcake. Note: These are adapted from a food.com recipe that I found. 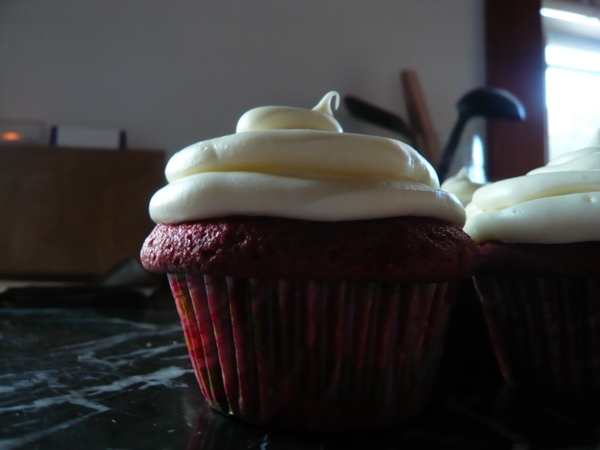 They are also the most wonderfully moist cupcakes I’ve ever eaten and so fast to make. It’s a dream. Preheat the oven to 350 degrees farenheit. Add all of the dry ingredients to a medium sized bowl and mix them until the cocoa is distributed evenly. In a two cup measure, combine the water, oil, vinegar and pesto. Stir until the pesto is broken up and even (it’ll look a little like a vinaigrette). Add the liquid to the dry ingredients and mix until everything is evenly mixed and smooth; 20 or so stirs by hand is good. You should be able to hear the vinegar and baking soda sizzle a little bit. Separate the cupcake batter evenly into a 12 cup cupcake pan; I used some super adorable silicone bug cupcake liners I got for Christmas (Thanks Mandi! ), and bake for 15 to 20 minutes (about one short chapter in Harry Potter, if you read like me); they’ll bounce back to the touch or an inserted toothpick will come out clean when they’re fully cooked. So I was on my way to dinner at a friend’s house and bringing dessert one Thursday, now this sounds easy but when you have the shelf of cookbooks that I have you start to panic, sweat dripping hands shaking panic, what to choose to make a wow impression. So many choices, do I go with classic never-fail-chocolate chip cookies or do I instead try the ultrachic never tried hazelnut chocolate tart (which I don’t even have a pan for)? Obviously, I went for some middle ground cake which was a familiar and easy to adapt thing but something I had never tried yet to make, the Red-Velvet variety. This cake was finicky and at times over-complex, but its complexity has made it increasingly more delightful to my remembrances. This was a cake recipe that SassyRadish tried to very happy campers (mainly an adorable 4-year-old she had photographed eating the cupcake with a HUGE smile). I showed up to my friend’s apartment with 12 of these cupcakes in a records box (I work a full time records management job) and she was enchanted. They were a little richer that I would like, maybe a little lighter on the zest next time and the frosting was decadent and delicious, the boyfriend and I were eating it by the spoonful instead of getting it on the cupcakes, which to be fair was just as reasonable as using it to frost anything, because let’s face it give me cream cheese in anything and I’ll eat it. Yup. I’m a sucker for that deliciousness. But just for fun, here’s the cake! Red-Velvet Cake with Orange Zest and Cream Cheese Frosting! 1. 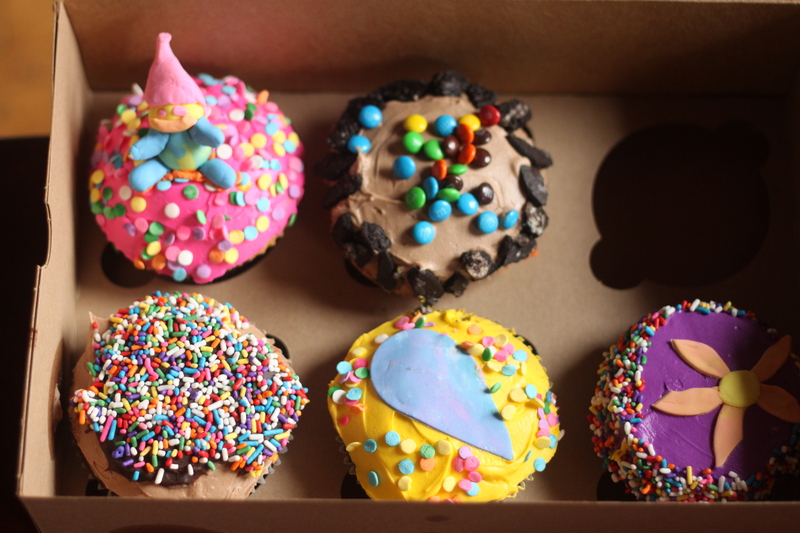 Preheat the oven to 350 degrees and butter/flour/line a cupcake tin. 2. 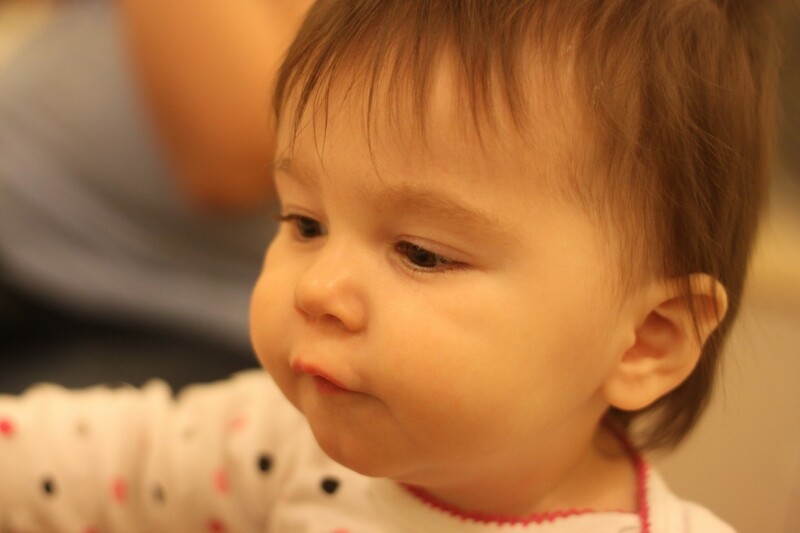 Sift together the dry ingredients (flour, salt, Baking Powder, Baking Soda). Twice. 3. 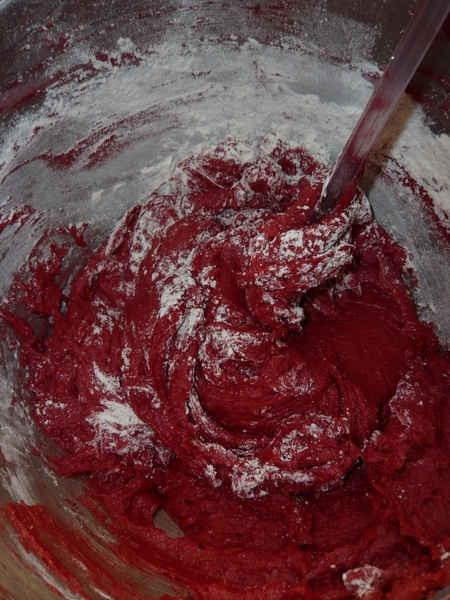 In a small (dark) bowl mix together the cocoa powder, red food coloring and water until it becomes a smooth paste. This will dye anything you are wearing/making it in/stirring with/your fingers, so be careful and aware of this! 4. In a large mixing bowl beat the butter until smooth (30 seconds or so depending on butter softness) then gradually add the sugar ¼ cup at a time scraping down the bowl between additions. 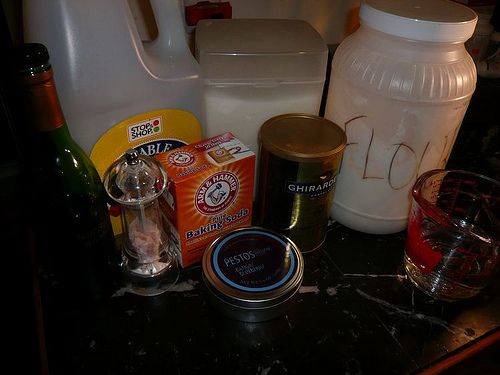 After the final addition of sugar beat this mixture until it is light and fluffy (2-3 minutes). Add the eggs one by one following the same process as before, add/mix/scrape/add. After the eggs add the vanilla and then orange zest beating until mixed evenly with both (15 seconds or so). Add the red cocoa paste and mix it in until everything is an even color (it should look quite red at this point). 5. Add the flour mixture to the butter/sugar/eggs in thirds alternating it with the buttermilk and scraping the bowl each time. This is easier to do by hand with a rubber scraper. Make sure to not over mix your batter, over mixed batter leads to flour where gluten tightens and cake becomes too firm (i. e. gross). Once the buttermilk/dry ingredients have been added to the batter give the whole mixture 3-5 good stirs to ensure even incorporation. 6. 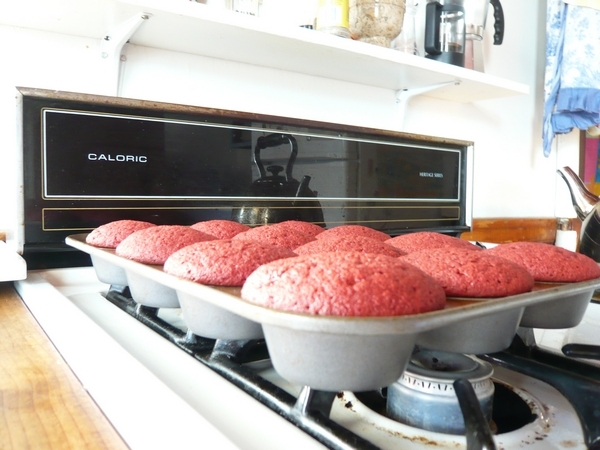 Distribute the batter into the cupcake pan until the liners are 2/3 to 3/4 of the way full. 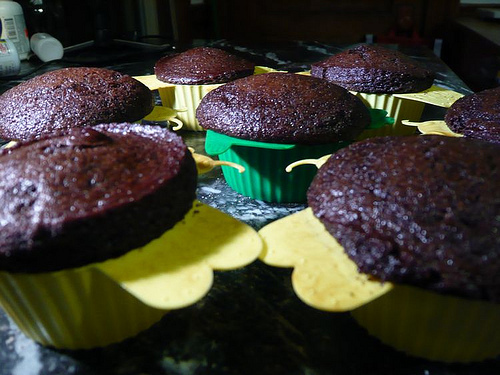 Bake the cupcakes until a cake tester (toothpick) inserted come out clean, 18-20 minutes. 7. After pulling the cupcakes from the oven let them cool in the pan for 10 minutes (until you can handle them) then transfer them to a cooling rack. 1. In a large bowl beat the butter, vanilla, and cream cheese until light and fluffy (1-2 minutes). Add the confectioner’s sugar ½ cup at a time until your frosting has reached the desired sweetness (I recommend no more than 3 cups of sugar). If you think the frosting is too stiff to manipulate add the milk to loosen it up. Frost all the cooled cupcakes and serve on platter, with napkins! These cupcakes should store for one day at room temperature and a couple of days in the fridge (they were gone before they became old enough to set up an accurate timeline! ).